The third Earl Stanhope (1753-1816) is credited with designing the first all-iron printing press which separated the screw from the spindle and bar. However, it should be noted that Wilhelm Haas, a Swiss mechanic, was the very first to use cast iron for the main frame or staple. 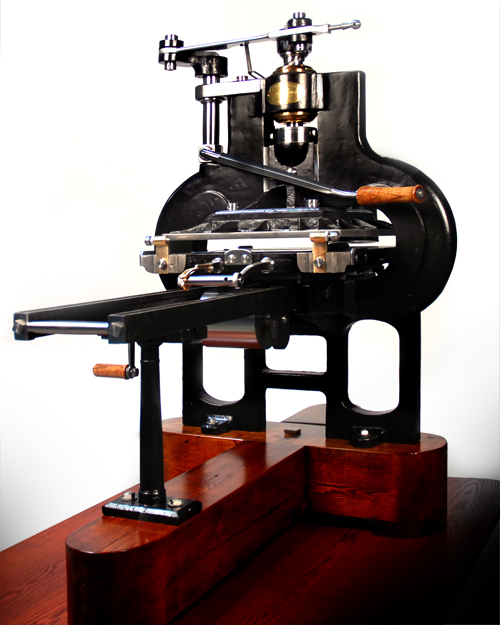 Earl Stanhope saw improvements and so, in 1800, he set about to bring his press to market. Stanhope never patented his idea. Although various reports indicate that there was some bad blood between the Swiss Haas and the Earl Stanhope, nothing seemed to prevent the building of the press. Robert Walker was an English ironsmith, and it was he who was engaged by Stanhope to build the first presses. Arguably, there was quite a bit of negative press as the initial machines were installed. Hansard, the well-known English commentator, seemed to take a delight in exposing various design errors. 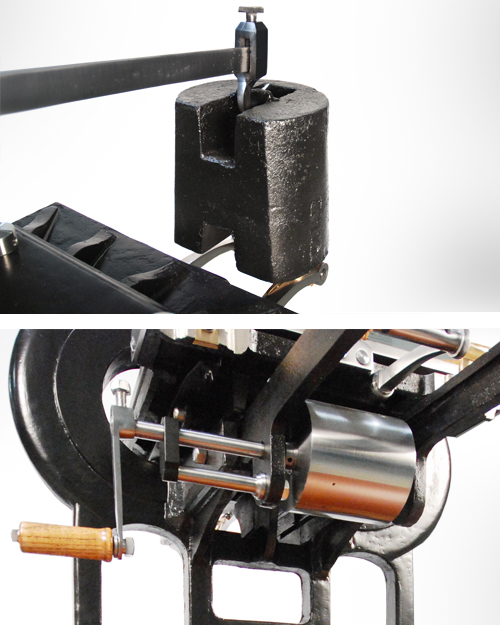 Stanhope’s press continued with the screw but by using levers he was able to produce magnificent print and, most importantly, much more impressional strength than wood. This was to be a watershed moment in the world of the printing machine. 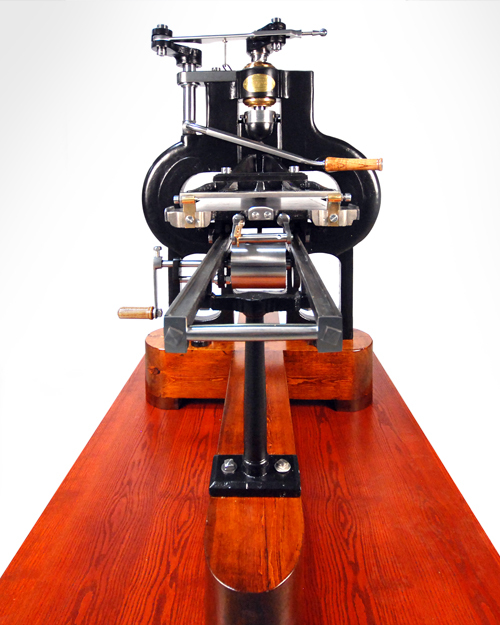 As we know today, the Stanhope was the beginning of the end for wooden presses of all sorts. 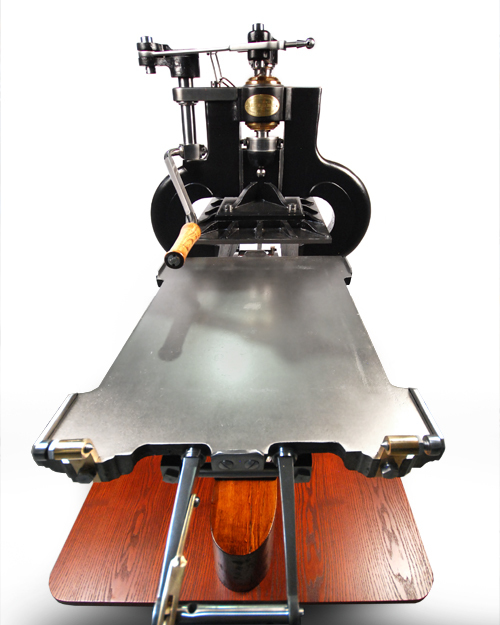 The rarest machines bare both Stanhope's and Walker’s names (Invenit for Stanhope and Fecit for Walker). Widely accepted, it is said that Koenig himself shipped one back to Germany. Several “copies” were made in Germany and also in France, Holland, Sweden and Italy. The machine was modified, adapted and altered. All at the pleasure of the builders themselves. 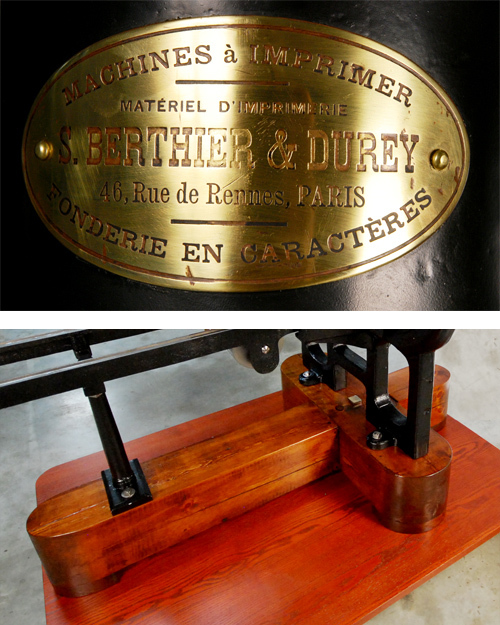 Our machine, baring the brass nameplate of French type house S. Berthier & Durey, may actually be from another maker as we noticed holes for a different size plate when restoring the machine. 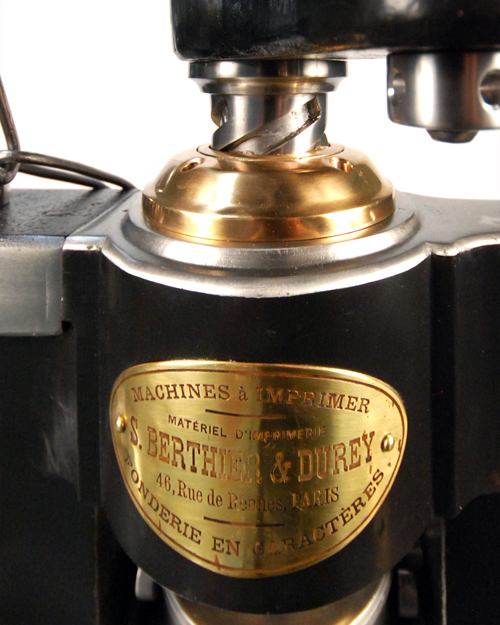 There seems to be no information that identifies Berthier & Durey as a machine maker. 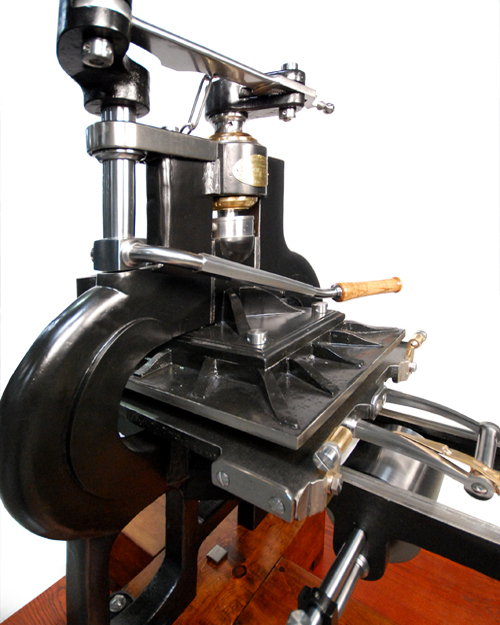 But, it does have the same platen fastening aggregates as does Gaveaux - another successful Stanhope copyist. 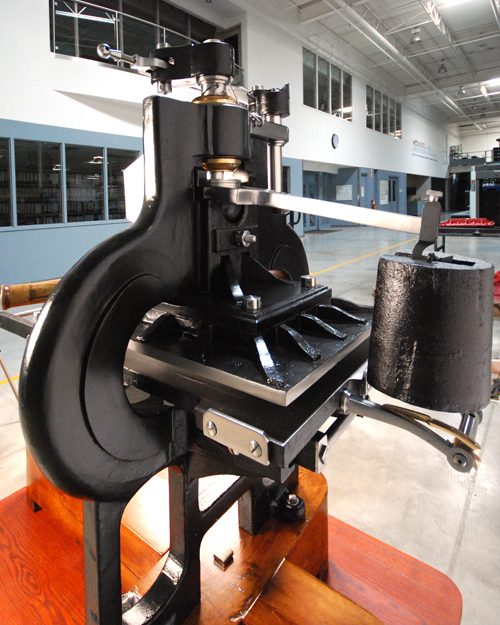 Based on the way the machine was built and the finish, we estimate our press to be built circa 1840 - 1850. Research is still ongoing. Simply put - a printing history museum should have a Stanhope even if it’s a European copy.